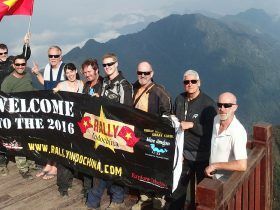 14 days/13 nights – Riding from the North to South of Vietnam is an experience of a lifetime. 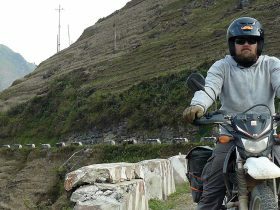 Embarking on a motorcycle trip in Vietnam will enrich your life ten fold. Starting in Hanoi, capital of Vietnam, heading South you will have access to the world famous Ho Chi Minh trail, pit stop in ethnic villages, coastal towns, relax on breathtaking beaches, experience local cuisines, mingle with locals, visit UNESCO sites such as Hoi An Ancient Town and Phong Nha-Kẻ Bàng National Park, and of course, fall in-love with your motorcycle. Pack your bag along with a sense of adventure, we’ve taken care of the rest. After meeting your guide we head out of Hanoi to Hoa Binh for lunch. 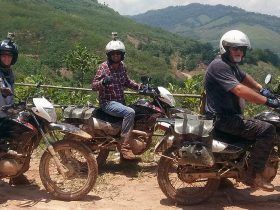 Our route then takes us across two mountain passes before descending to the alluring mountain valley settlement of Mai Chau, an area famous for its Thai Ethnic groups. Our hosts for the night are a local family who will provide us with beautiful accommodation in a traditional stilted house and a family dinner where you will be invited to enjoy a delicious spread of home cooked, regional specialities. Following the winding banks of the beautiful Ma River, we head south to join the new Ho Chi Minh Highway, which lies *on top of the original Ho Chi Minh Trail. This newly carved route leads us due south through remote back country, not far from the Lao border. We stay overnight in the coastal city of Vinh, close to where Ho Chi Minh was born and an area of particular significance to the US during the war. From Vinh, we take Highway One deep into rural Vietnam and onwards towards the Laos border. The drive takes in remote landscapes that steadily shift into views dominated by karst limestone rock formations. In the afternoon we arrive at the World Heritage listed National Park, Phong Nha and embark upon an amazing boat ride into Phong Nha cave, one of the largest caves in the world. Today we strike deep into the pristine jungles that encompass the World Heritage Phong Nha-Ke Bang National Park. A classic drive! Along the way, we pass a number of significant locations where the bulk of North Vietnam’s foot soldiers and trucks crossed into Laos during the war. In the afternoon, having passed over the mountainous border divide between the former north and south Vietnam, we arrive at Khe Sanh – The site of the former US Marine base and location of the famous siege that precluded the Tet Offensive in 1968. After a visit to the fascinating Khe Sanh museum, where wrecked Huey and Chinook helicopters testify to the ferocity of the siege here, we head towards the coast through the former DMZ to visit the Vinh Moc Tunnels. An underground tunnel network that was home to thousands of villagers during the course of the war. We then follow the beautiful coastal route south to the Imperial City of Hue, which lies along the banks of the Perfume River. Hue’s deluge of sights and attractions are tightly packed into one small area – making it the perfect location to wind down the kilometers and relax. 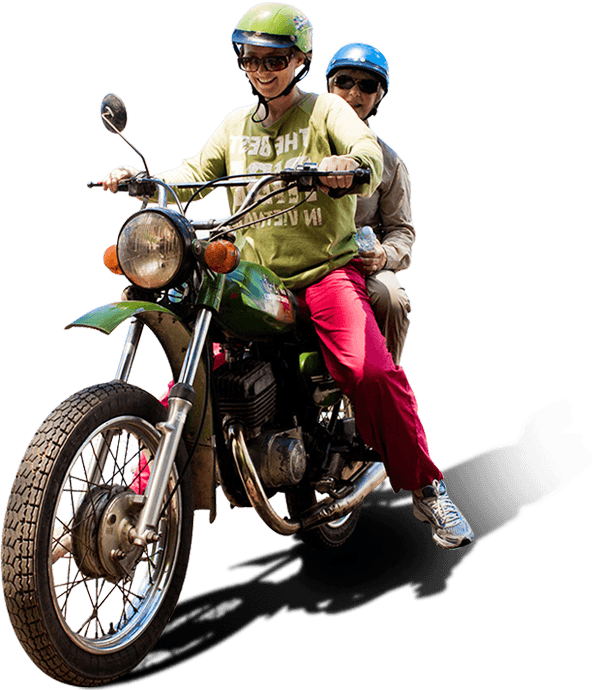 In the morning we take the bikes for a gentle spin, visiting the Citadel and the nearby Thien Mu Pagoda, leaving you the afternoon free to explore the rest of the city or to kick back by the pool. Hoi An bound, we head east along a beautiful coastal route that passes through many colourful fishing villages beside a seemingly endless beach stretch. The salty air and coastal scenery are a dramatic contrast to the mountains from the previous days. We’ll stop often to dip our toes in the sea, chat with fishermen and to take photos. At the halfway point of our drive, we climb to Highway One’s highest point, the Hai Van Pass and take in the panoramic views of the coast. 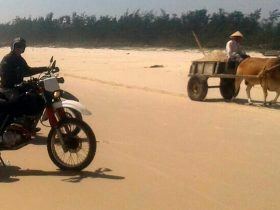 The road then winds down toward Hoi An, passing through Danang city, Marble Mountain and along the coastline. Today is a rest day, allowing you plenty of time to explore the secret alleys and ancient shop houses that make up the enchanting UNESCO Heritage site of Hoi An. Shopping aside this can take less than four hours, leaving you the option to take in some beach time at Hoi An’s An Bang beach, a 10-minute drive from the old town. 5,290,000 VND (230 USD) per day per person on the back with one of our experienced drivers.